What does the girl who can make wishes come true give to the man who has everything? Andra Martineau is no ordinary young woman. She’s a Klêidouchos Propylaia (K-Pro for short), which means she has the unique ability to help certain people get exactly what they want. And Andra is good at her job–her clients have gone on to become a veritable who’s who of the rich-and-famous. David Styles is an up-and-coming actor with everything going for him: looks, talent, and countless beautiful women vying for his attention. But when Andra turns up in his bed demanding to know what he wants, his perfect world starts to spiral out of control. And it’s not just his reputation is on the line—what David doesn’t know can certainly harm him, in ways he couldn’t possibly begin to imagine. With the help of David’s incorrigible costar, Andra begins to realize not only her own true nature, but David’s hidden identity as well. Andra is forced to battle not only her attraction to David (and she never gets involved with clients), but the being within him that wants to take away everything she holds dear. As David continues to lose himself to the strengthening form within him, Andra navigates the jealousies of the film’s director and David’s would-be paramour in an effort to save him. She can make others’ wishes come true . . . But can she grant her own? 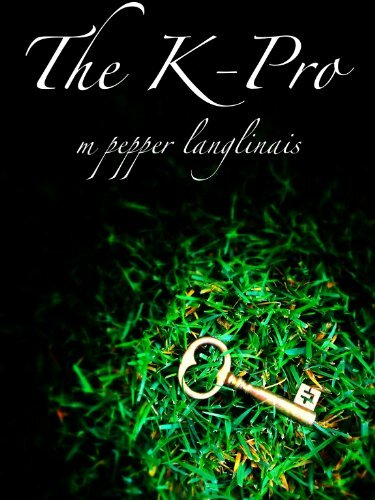 Funny, readable, and populated with a host of entertaining personalities, The K-Pro is a fast-paced contemporary romance with a paranormal twist.